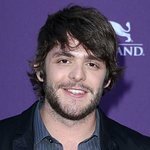 Academy of Country Music’s Male Vocalist of the Year Thomas Rhett will perform LIVE at AT&T Stadium during the nationally televised halftime of the Dallas Cowboys game against the Los Angeles Chargers on Thanksgiving Day, kicking off The Salvation Army's annual Red Kettle Campaign. Donations to the iconic campaign help provide shelter and meals for the homeless and hungry, and Christmas toys for millions of children, in addition to numerous other social service programs The Salvation Army provides year-round. The Red Kettle Campaign, which begins on Thanksgiving Day and runs through Christmas Eve, is the largest and longest-running fundraiser of its kind. 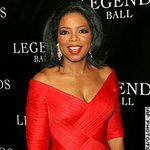 It raised $147.3 million during the 2016 campaign alone and has raised nearly $2.2 billion since the Cowboys Thanksgiving Day partnership began in 1997. As the first country artist to top the all-genre Billboard 200 Album’s chart this year, Thomas Rhett’s star has continued to rise since the release of his debut album “It Goes Like This.” Currently the Academy of Country Music’s Male Vocalist of the Year, his albums have also garnered GRAMMY, CMA, CMT, and iHeartRadio Music award nominations, including major wins for his love song “Die a Happy Man.” Thomas Rhett recently released his third album LIFE CHANGES and announced he will be bringing his signature swagger to his LIFE CHANGES TOUR 2018. To watch Thomas Rhett reveal himself as the halftime performer, click here. The Red Kettle Kickoff halftime show has been nationally televised for all of its 21 years, reaching millions of viewers with the campaign’s message. Rhett is the newest addition to a list of Red Kettle Kickoff celebrity halftime performers, including Eric Church, Luke Bryan, Selena Gomez, Kenny Chesney, Enrique Iglesias, Keith Urban, Daughtry, Jonas Brothers, Kelly Clarkson, Carrie Underwood, Sheryl Crow, Destiny's Child, Toby Keith, LeAnn Rimes, Creed, Jessica Simpson, Billy Gilman, Clint Black, Randy Travis, and Reba McEntire. In addition to donating to the traditional bell ringers that will be stationed at retail locations throughout the country, supporters can join The Salvation Army’s Fight for Good by starting their own #FightforGood fundraiser on RedKettleReason.org. 2	Click “Join the Fight” or scroll to the bottom of the page and join one of our notable citizen soldiers’ fundraisers. 3	Specify the community, fundraising goal, and designated cause to support, or simply make a general donation to The Salvation Army. 4	Encourage friends and family to donate and start their own fundraising pages. Donations can also be made through the Army’s text-to-give program. By texting the word “KETTLES” to 51555, donors can send any amount to the Red Kettle Campaign. From its humble beginnings as a Salvation Army captain’s start-up program in 1891 in San Francisco, the Red Kettle Campaign has grown into one of the most recognizable and important charitable campaigns in the United States. It provides toys for kids, coats for the homeless, food for the hungry, and countless social service programs year-round. As part of the campaign, more than 25,000 Salvation Army volunteers throughout the country ring bells and solicit donations to the red kettles.